We like to keep things clear on our campsite. Here is our promise to residents. 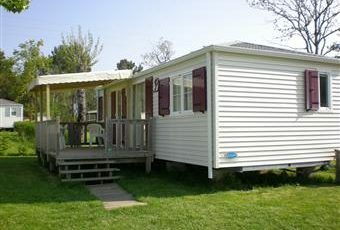 No need to replace your mobile home in 5, 10, 15 years, just keep it in good condition. Why an annual contract? For you: You may wish to move (the home is yours, and it is mobile), or change your leisure lifestyle, and sell: a renewable contract every year doesn’t tie you down – it is flexible, you are free. Please find the plot rental contract (PDF format) attached. For us: We need you. 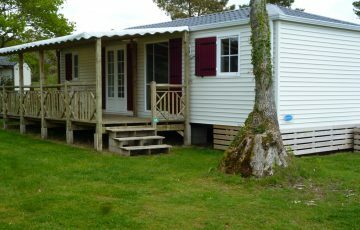 If you are happy at Entre Terre et Mer campsite, then we are too, and wish to renew your contract for as long as possible. Optimal development of your plot in terms of power supply (16A) and TV reception, single TNT antenna. The guarantee of having a single contact person for every aspect of your purchase, mobile homes, terraces, sheds… A net price, with no additional expenses. A team available to respond to your questions and needs. If you wish to sell your mobile home, we agree on a sale price together (table-based valuation) and your residence will benefit from our sales policy (advertising, communication, etc. 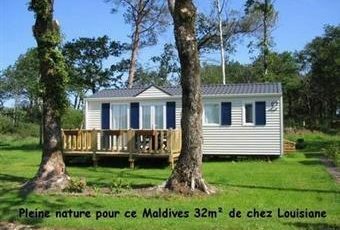 ), for 10% commission to the campsite.